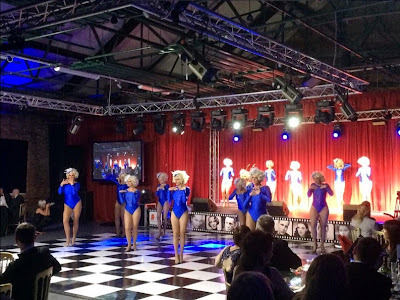 Thousands of pounds have been raised for the Barnsley and Rotherham Chamber president's charity fund thanks to the movies-inspired Annual Ball which took place at Elsecar Heritage Centre earlier this month. The "Saturday Night at the Movies" annual ball welcomed guests from across the region to experience movies through the decades with entertainment displaying a 100 years of movies. The event increased the total funds in the president's charity pot to over £5,000 which will be donated to local member charities at this year's Barnsley and Rotherham Business Awards. Charities will have the opportunity to apply to become the Chamber's charity of the year and receive a cash prize as a donation to their charity. Of the shortlisted five charities, all will receive a donation. The president's annual ball was hosted for the first time by current president, Paul Jagger MBE. He said: "I am overwhelmed by the support we have received from local businesses coming together to raise thousands for the president's charity fund. There are many charitable organisations in our region in need of support and guests of the event should be proud their contributions will go to supporting worthy causes." The Gillian Banks Theatre School once again provided outstanding entertainment and took guests on a journey through time with performances from the 1920's through to the noughties. Guests were treated to performances from Snow White, The Wizard of Oz, Star Wars and the Saturday Night Fever to name a few. Last year's funds raised went to supporting five charities announced at the 2014 Barnsley and Rotherham Business Awards – City Hearts, Health Deafinitions, The Lindley Educational Trust and Shiloh Rotherham, with The Pippa Jones Little Treasure Trust being named charity of the year and receiving the top prize. Charities will be encouraged to enter the 2015 Business Awards with the chance to receive the prize monies and be names the new charity of the year for 2015.